This week the USDA announced that the ﬁnal rule on school meal ﬂexibilities will weaken school nutrition standards, particularly with regards to whole grains. The announcement that only half of the weekly grains served in the school lunch and breakfast programs will be required to be “whole grain rich” is a euphemism for making a meager 25% of the grains whole. This is because “whole grain rich” simply means that at least half of the grains in a food are whole — NOT that the food is 100% whole grain. In response to the new ﬁnal rule, Chef Ann Cooper, the Director of Food Services for Boulder Valley School District in Colorado, and popularly known as the “Renegade Lunch Lady,” voiced strong opposition to the measure. “The roll-back of the Whole Grain requirement in school meals is unnecessary and frankly unacceptable as schools are already meeting the Whole Grain requirements. All this ﬁnal ruling does is negatively impact the health of our children. The USDA should put the health of our children before proﬁt and politics — our future as a nation and the future health of our nation’s children depends upon it,” says Cooper. 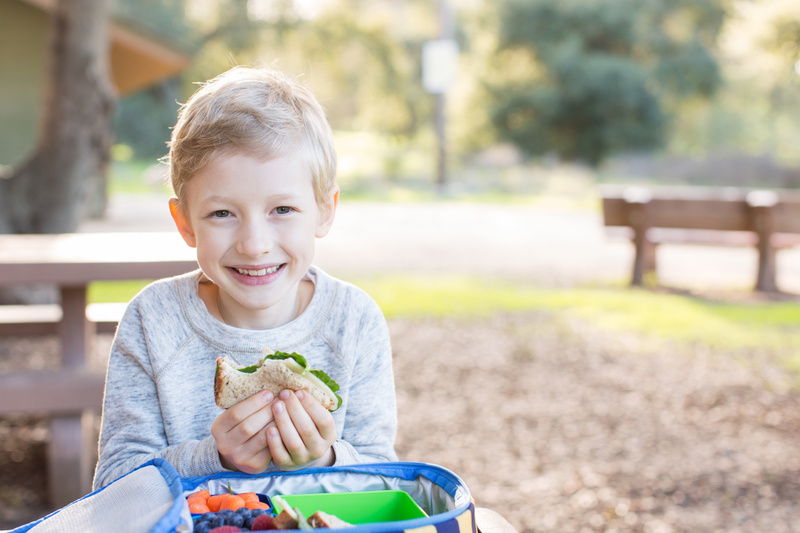 In spite of this legislative setback, many dedicated foodservice professionals have joined Cooper in announcing their commitment to children’s health, political circumstances notwithstanding. “We will continue to serve our meals with the guidelines we have been following and continue to make meals as healthy as we can and monitor our success and make adjustments when needed,” explained Brian Jones, Food Service Director at St. Labre Indian Schools, in response to the new rule. “Serving whole grains and educating students about whole grains will continue to be important aspect of our student nutrition services,” says Jessie Campbell, MPH, RDN, Student Nutrition Services Supervisor for Moscow School District in Idaho. “Whole grains are a vital part of healthy diets, schools play a key role in educating children and families about the health beneﬁts and culinary applications for whole grains,” explains Campbell. Minneapolis Public Schools also “regret the harmful rollbacks included in the recent USDA School Meals Final Rule that undermine the positive strides made by school districts and the food industry nationwide,” and emphasized that they “will continue to only serve whole grain-rich items while introducing intact whole grains,” according to a statement they posted to Facebook. Good nutrition habits start at home. I am disgusted with this rollback of a common sense requirement. I am sick and tired of paying taxes for junk food in schools that lead to obesity and diabetes that cost me more tax dollars to treat. What we have is a bunch of lazy parents who don't care about the heath of their children. More Trump baloney.